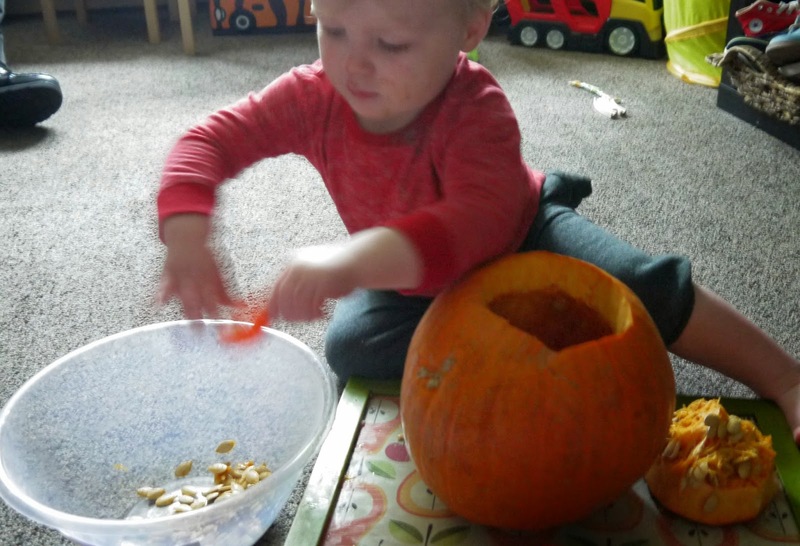 Hello lovelies, we have finally started pumpkin carving, sorry about all the different lightening, the weather outside didn't play ball today. 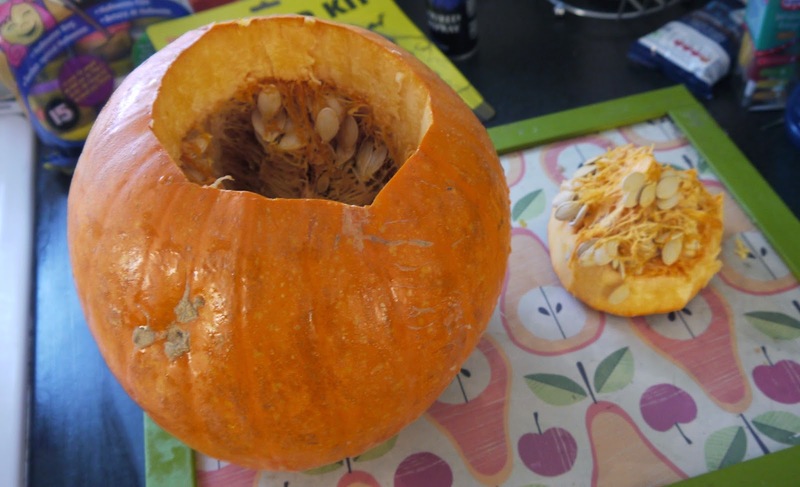 Me and Oscar had lots of fun though, I cut of the lid and Oscar had lots of fun scooping out the gunk, I hate the smell of the inside and it feels gross but Oscar seemed to enjoy it. 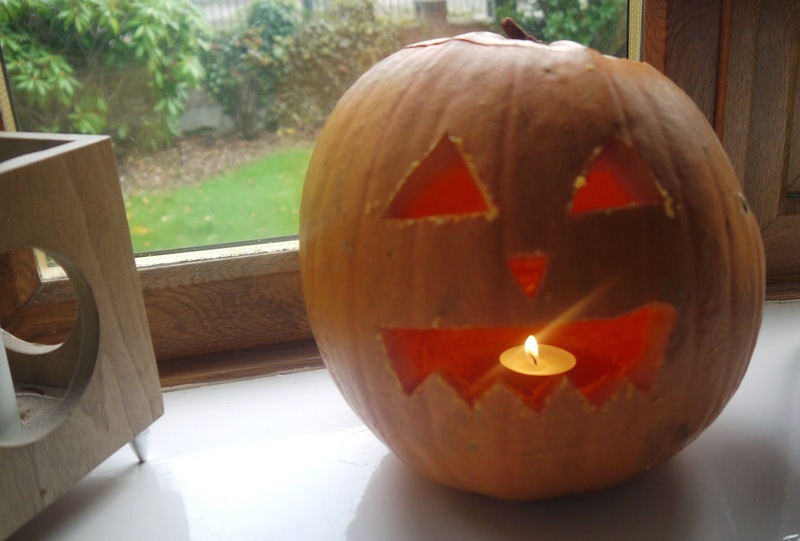 My dad was luckily around as I am not the greatest at removing it all properly and had a great idea of using a potato peeler to scoop every last little bit out, we soon had a hollow pumpkin ready for a tea light. It is now pride and place of our windowsill and Oscar keeps saying wow ooooh. 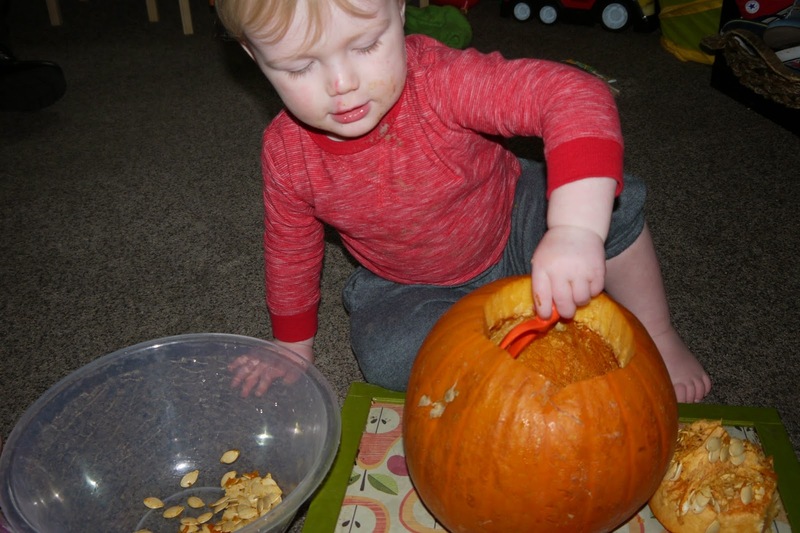 Have you been carving pumpkins with your little monsters?